Any lender and any borrower can agree on a set of rates and terms, but the IRS does have certain rules that control this type of transaction specifically when the parties are friends or family. Some of the applicable rules are that the loan must be done in a business-like manner as a written note with the loan amount, interest rate, term and any collateral securing the loan. 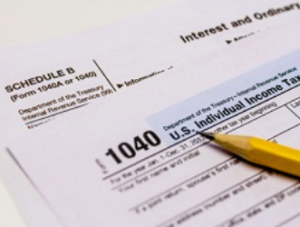 The IRS requires that this note be a recorded lien in order to allow the buyer to deduct interest. A friends or family loan can have a below normal interest rate on the mortgage. However, the rate charged in the note is regulated by the minimum applicable federal rate which is published monthly by IRS based on current Treasury securities. For July 2017, the monthly rate is 2.57% for terms over nine years. Rates already published for August 2017 show a monthly rate of 2.55% for a long term loan. A rule for the seller is that they must report the interest paid to them along with name, address and social on a schedule B when the buyer is using the property as their principal residence. A friends and family mortgage can be a good thing for all parties involved. It affords the buyer the chance to get a lower mortgage interest rate without the usual lender fees and gives the seller a chance to earn at a bit higher rate that current investments. Your tax professional can guide the transaction whether you’re a buyer or a seller and as a real estate professional I can help arrange to have the documents drawn and filed. Want some Insider Information on Fairfax VA homes for sale? Get a FREE Market Snapshot Report of Your Northern Virginia Home’s Value, or Search All Northern Virginia Homes For Sale. Put that data you need at the tips of your fingers! Gabe Sanders on Does this silent intruder lurk in your home?